As a long-term vegan, worrying about finding decent places to eat alongside friends and family has become a thing of the past. Local restaurants are swiftly jumping on the plant-based bandwagon and offering not only affordable but also delicious, well-thought-out meals. Consider stopping by one of these five local picks for a thoroughly satisfying experience of plant-based delight. 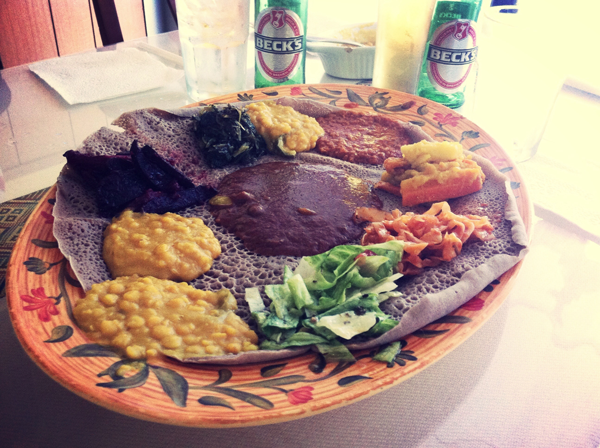 Lalibela Ethiopian restaurant should be on every veggie lover’s bucket list. The vegetarian combo offered at Lalibela is a spread of six different vegetarian stews spread on a large piece of injera, a sourdough-risen flatbread, which is used to scoop up the different varieties of stews laid out on this dish. The rich spices used in Ethiopian cuisine, such as berbere chili sauce and turmeric, alongside a base of garlic, ginger and onions make for a dish your palate will not soon forget. With its roots set deep in Texas, this all-vegan diner and bakery is a staple around town. The variety of comfort foods offered at Spiral Diner will have the child in you wanting to come back for more. Alongside burgers, soups, wraps and a delicious selection of brunch items is their nachos supremo. Filled with cashew-based cheese, quinoa, black beans, guacamole and jalapeños, the nachos supremo is a must-have item when checking out this local gem. 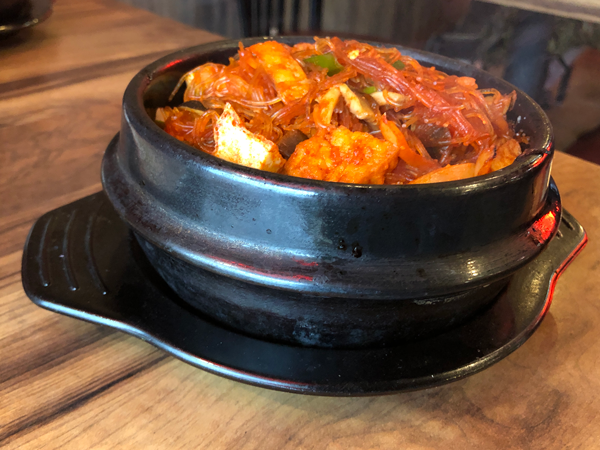 There are only a few dishes that could ever bring the joy that Mais Tofu Clay Pot can offer. With its charred rice cooked at the bottom of a hot clay pot, mushrooms mixed with glass noodles, herbs and a measurable amount of spicy sauce, this dish is unpretentious yet utterly satisfying. It is a great example of what Mais restaurant represents in the Old East Dallas neighborhood: consistently fresh food, homey and just a touch of the good old Dallas hospitality. This cozy vegetarian Indian cafe offers an array of dishes that fuse the most common flavors from India and presents them in a friendly American-influenced eating experience. Most of the dishes available at Cosmic Cafe are vegetarian, although everything can be requested without cheese. The “Buddhas Delight” is by far the best dish on the menu, and it’s vegan. This dish includes the curried vegetables of the day, dahl (which is a spicy Indian lentil soup), pappadam (thin spiced crisp), samosa, rice, and nan, a combination worthy of adoration. Located across from Fair Park and the DART train stop, Pizza Lounge has become a hotspot for a late-night pizza. What’s even better, they have a full vegan pizza menu. 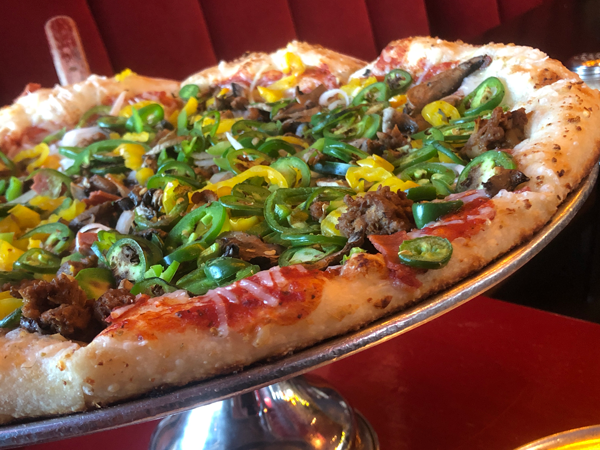 The vegan spicy muchacho, loaded with vegan mozzarella cheese, chipotle vegan sausage, jalapeños, habaneros, bell peppers and banana peppers, will leave you feeling muy caliente. Like every good pizza, the dough is extremely important. The dough at Pizza Lounge is baked to an even crisp on the outside, while leaving just enough to chew on the inside, both characteristics of a well-made dough. With its hip location and down-to-earth vibe, Pizza Lounge has consistently delivered great quality pizzas.